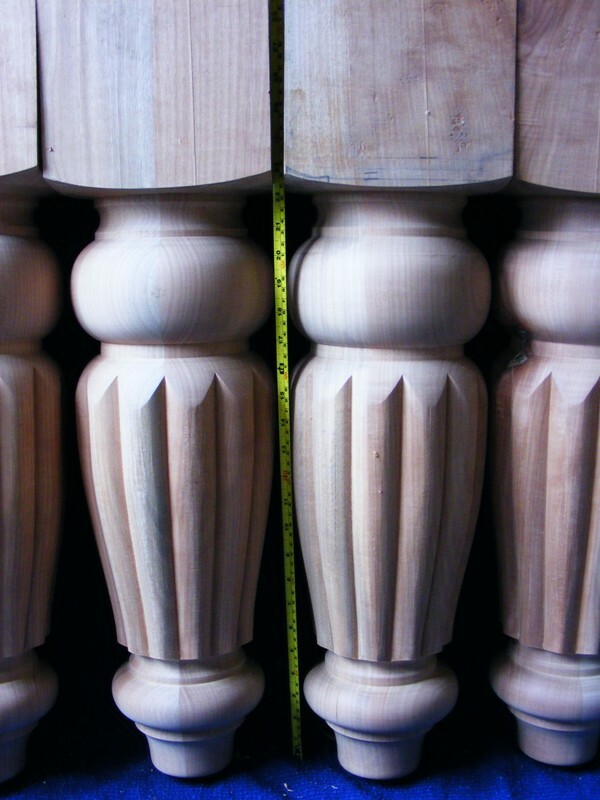 Table legs can be turned to your requirements,whether for a coffee or a kitchen table,or even A tripod pedestal table.I usually work from the customers supply of timber,so that the the legs will be from the same batch of timber as the rest of the table.This way the timber will be of from the same source or will have been colour matched.Here are a few examples. 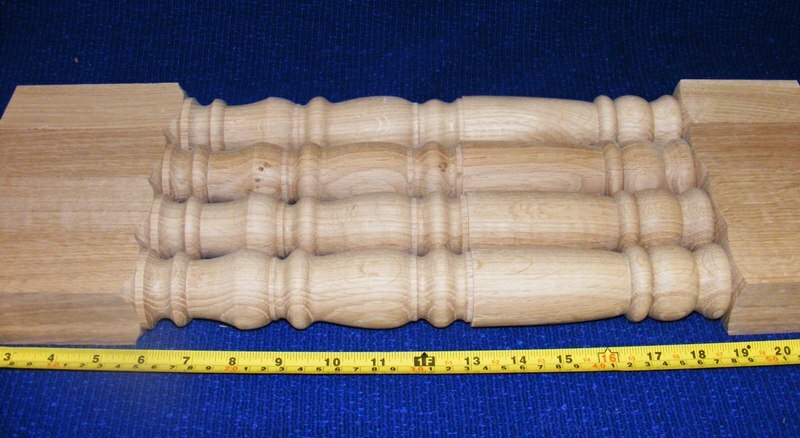 Post formed Oak leg turned by Phil Jones professional wood turner. 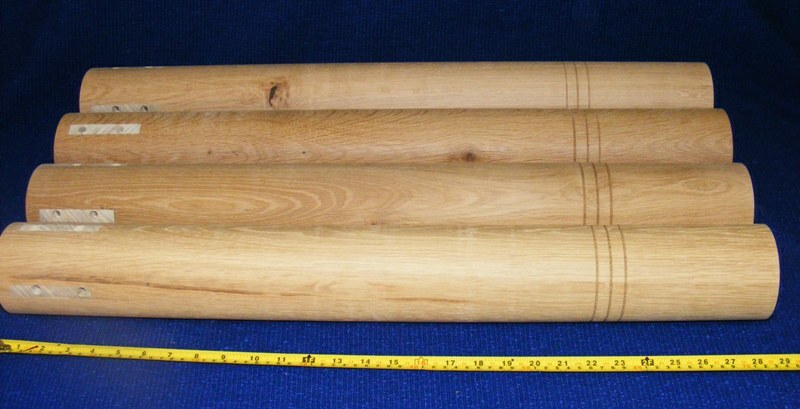 Coffee table legs Oak turned by Phil Jones professional wood turner. 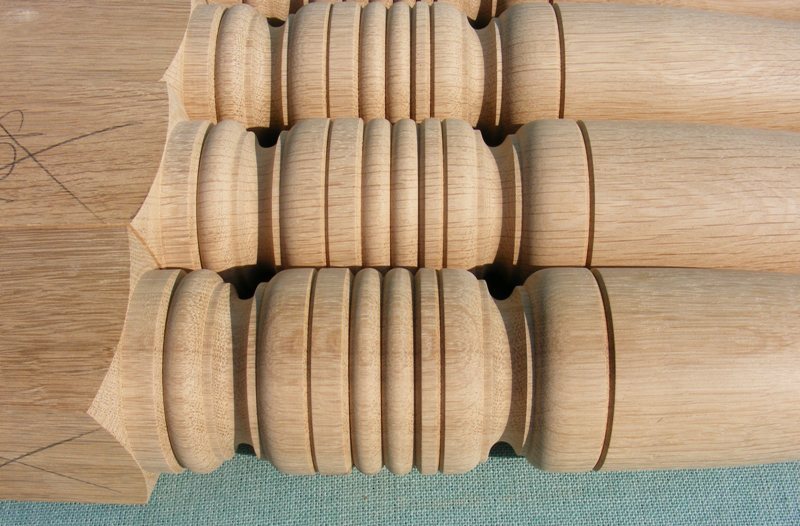 Cherry reeded table legs turned by Phil Jones professional wood turner. 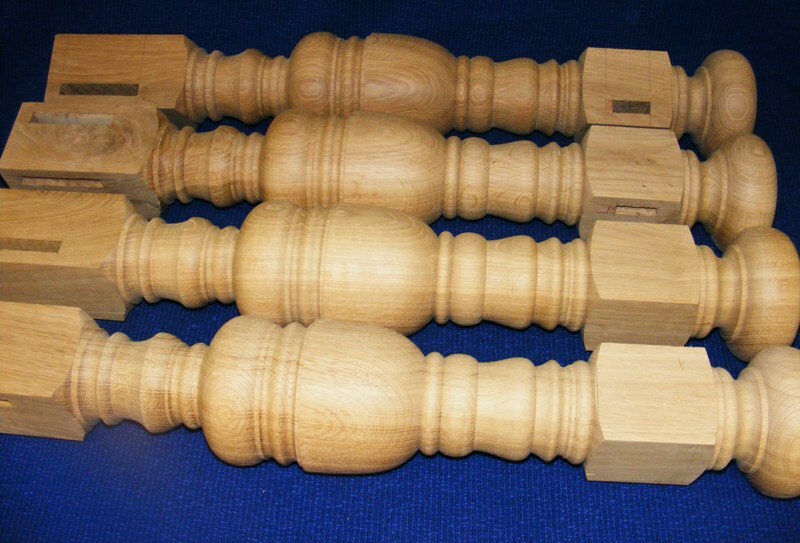 Oak table legs turned by Phil Jones professional wood turner. 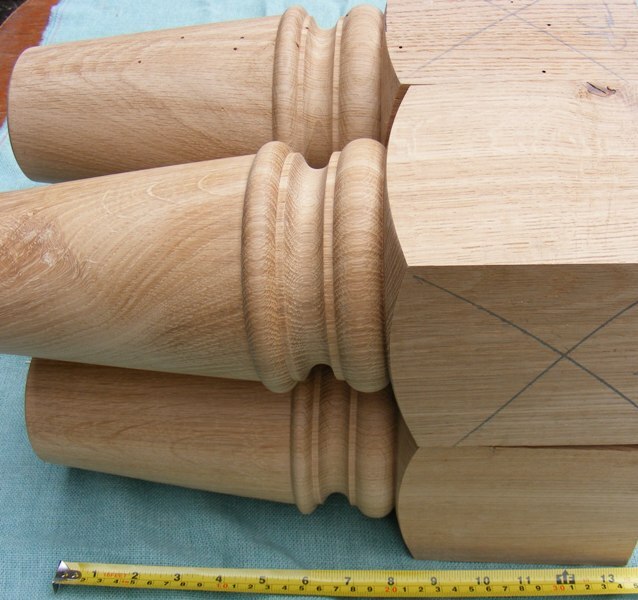 These legs were morticed prior to turning as it would be virtually impossible to mortice them after accurately.The mortice holes have been temporarily filled with packers,which have been screwed into place with countersunk screws. 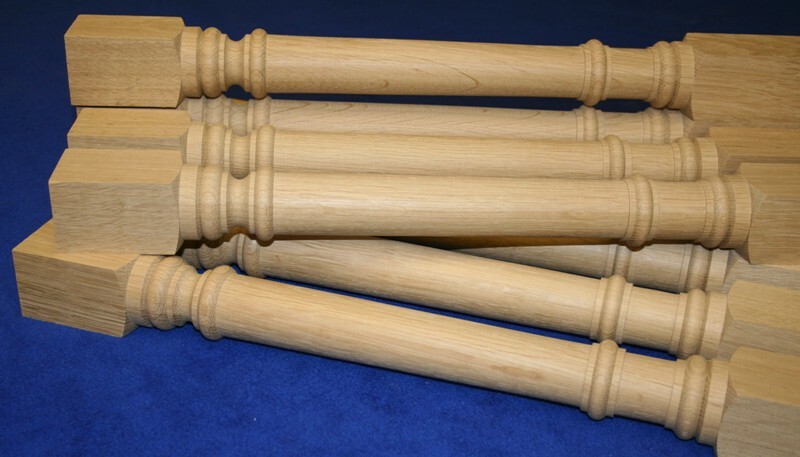 Hand turned Oak table legs by Phil Jones professional wood turner. 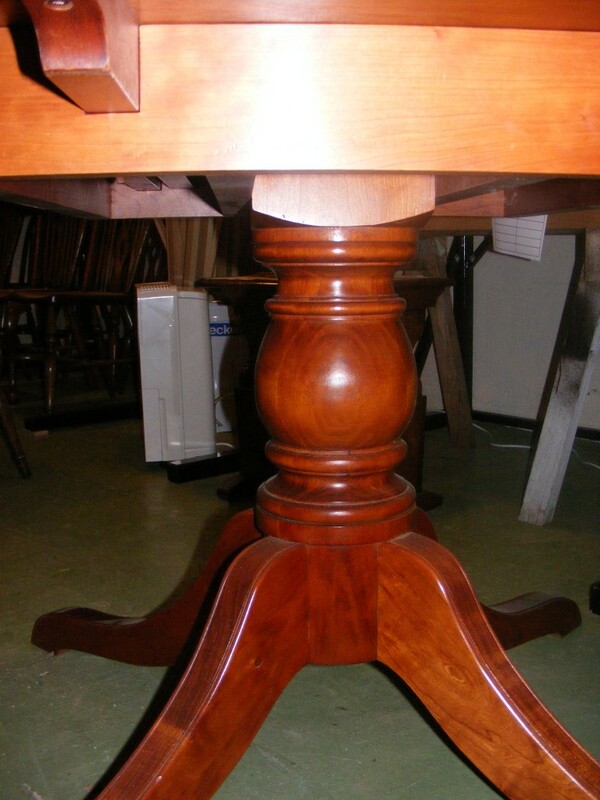 Dumpy Oak coffee table turned by Phil Jones professional wood turner. 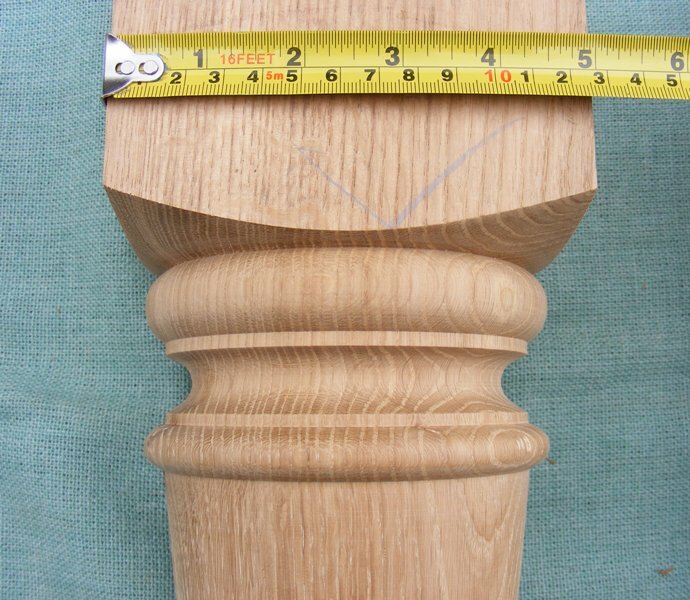 close up of dumpy Oak leg turned by Phil Jone professional wood turner.